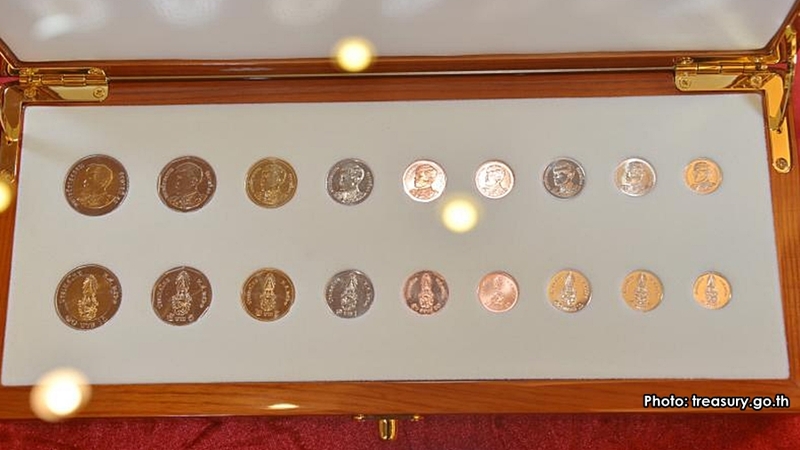 The Ministry of Finance announced on Wednesday that the first coins featuring the portrait of His Majesty King Maha Vajiralongkorn Bodindradebayavarangkun will be put in circulation on April 6. 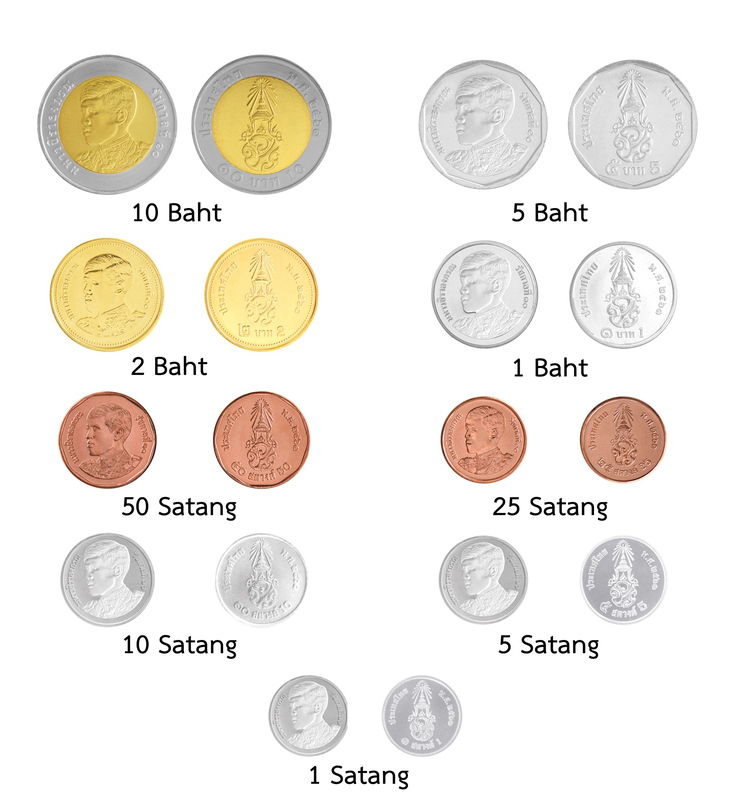 The new coins will comprise nine denominations: 10 baht, 5 baht, 2 baht, 1 baht, 50 satang, 25 satang, 10 satang, 5 satang and 1 satang. The new coins featuring the portrait of His Majesty King Maha Vajiralongkorn in nine denominations: 10 baht, 5 baht, 2 baht, 1 baht, 50 satang, 25 satang, 10 satang, 5 satang and 1 satang. The ministry said the three nominations, 10 satang, 5 satang and 1 will be used only by state agencies for bank account settlements. The ministry said that the Treasury Department started minting the first coins of King Rama X for circulation in the country since July 21 last year. The new coins will enter circulation on April 6, the 236th anniversary of the founding of the Chakri dynasty. The front of the new the coin features a portrait of King Vajiralongkorn in the uniform of the Royal guards at the reign of King Chulalongkorn. Director-general of the Treasury Department, Mr Patchara Anuntasilpa said the 10 baht, 5 baht, 2 baht, 1 baht, 50 satang and 25 satang coins will enter circulation at 08.30-15.30hrs on April 6. The coins will be available for exchange at the Treasury Department’s offices on Soi Areesamphan in Bangkok, and in Klong Luang district of Pathumthani, and at offices in six provinces namely Khon Kaen, Ubon Ratchathani, Chiang Mai, Nakhon Sawan, Songkhla and Surat Thani. Meanwhile the new banknotes that bear the portraits of His Majesty King Maha Vajiralongkorn in three dominations, 20, 50, and 100 baht will also be put into circulation on April 6.